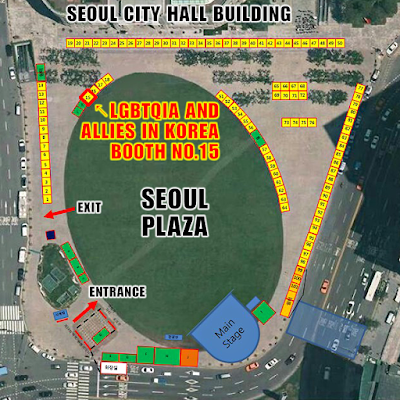 Come and Hang Out at 'LGBTQIA And Allies In Korea' Booth At 2017 Seoul Pride! 2017 퀴어문화축제 '한국 퀴어와 그 친구들' 부스에 놀러오세요! 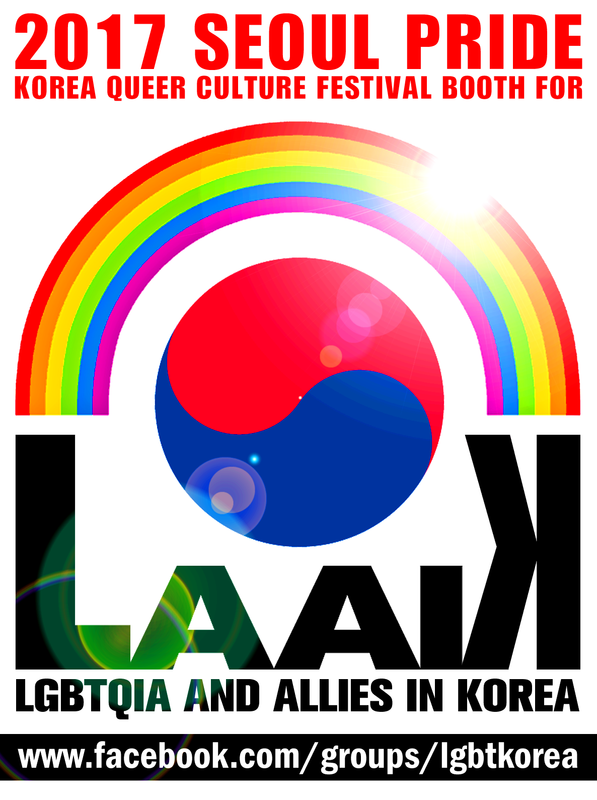 'LGBTQIA And Allies In Korea' is an online-based group that's been hosting/participating in lots of LGBT-related events and actions since it was created in 2014. It has also been a bridge that connects Korea's local LGBTQIA community and International queer communities. It had its debut at Seoul Pride (also known as Korea Queer Culture Festival) in 2016 and it was confirmed that it will be running a booth at Seoul Pride this year as well. You may find the details below. 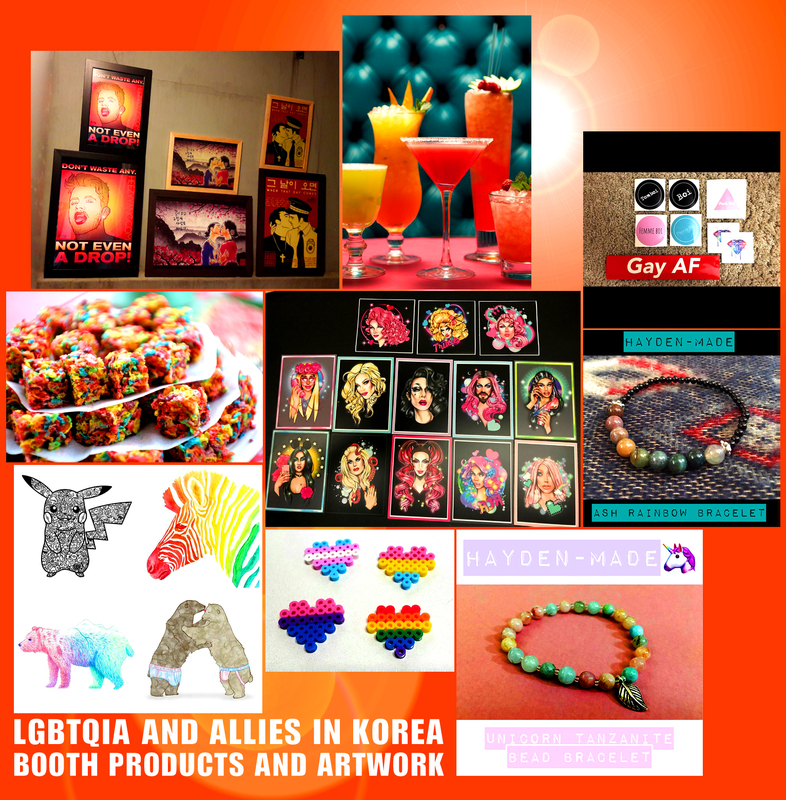 Come and hang out at the booth and check out the queer products its sellers and artists will be selling! '한국 퀴어와 그 친구들' 은 온라인에 기반을 둔 그룹으로, 2014년 창설 된 이후 퀴어와 관련된 다양한 행사와 활동들을 주최 및 후원해왔습니다. 또한 '한국 퀴어와 그 친구들'은 영어-한국어 간 통역 및 정보 교류를 통해 한국의 퀴어 커뮤니티와 해외 퀴어 커뮤니티를 연결해주는 역할을 수행해왔습니다. 작년에는 처음으로 퀴어문화축제에 부스를 열고 참여하였으며, 올해에도 부스 활동 참여가 확정이 났음을 알려드립니다. 더 자세한 정보는 아래 내용을 참고하세요. 부담없이 즐거운 마음으로 부스에 놀러오시기 바라요! 또한 부스에서 판매되는 아트 작품 및 물품을 구매하셔서 '한국 퀴어와 그 친구들' 그룹과 부스를 후원하실 수 있답니다! We are aware that there will be many different types of shows and parties on this date. Unlike most of them, we would like to offer you a space where you can just chill and relax, while socialising and meeting other queer folks and allies. 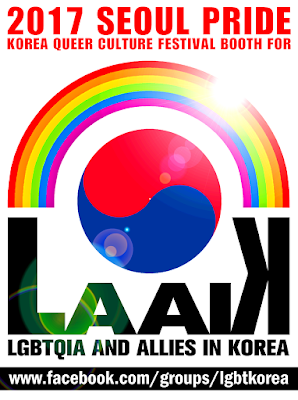 Some of the talented artists from 'LGBTQIA And Allies In Korea' group will be performing music as well! Performers: Paul Perrone, Jason Kuttner, and more to be added! 7월 15일 퍼레이드 후에 수많은 종류의 파티와 공연들이 기획되어 있는 것 모두 알고 계시죠? 재미난 공연들과 크레이지한 파티들이 많겠지만, 우리는 술을 한잔 하며 편안히 쉬고, 또 퀴어 커뮤니티에 속한 새로운 친구들을 만날수도 있는 자리를 마련하고자 합니다. '한국 퀴어와 그 친구들' 그룹의 멤버 가운데 재능있는 아티스트분들이 뒷풀이에 오셔서 음악 공연 또한 펼칠 예정이랍니다! 공연: 폴 페로네, 제이슨 커트너, 더 많은 공연자가 추가될 예정입니다.